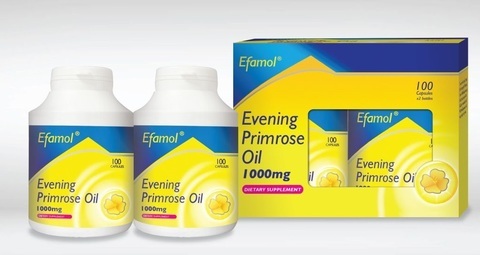 Efamol® Evening Primrose Oil provides a source of omega-6 Gamma Linolenic Acid (GLA) to maintain healthy skin and promote general well-being. It is extracted from seeds of the Evening Primrose Rigel plant with consistent, 12-14% of Gamma Linolenic acid (GLA) from batch to batch. GLA can be produced by our body through metabolism of linoleic acid (LA), an essential omega-6 fatty acids or can be obtained through supplementation. Efamol® Evening Primrose Oil improves skin structure and functions in healthy people by improving moisture content, elasticity, firmness and smoothness. 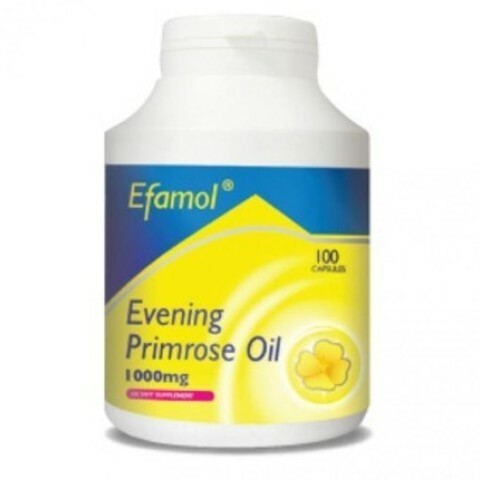 Who need Efamol Evening Primrose Oil? Women of all ages especially for people who want to maintain healthy skin. “Efamol” comes from the term Essential Fatty Acid MOLecule. At Efamol, quality and purity are key values. The Efamol marine oil used in all the products is of superior standard and is harvested from sustainable stocks. As one of only a few international brands of EFA-based products, Efamol has led the way in developing scientifically proven health supplements.